events here together with any important dates to look out for. The class is suitable for beginners, bring your own mat, water bottle, and towel. 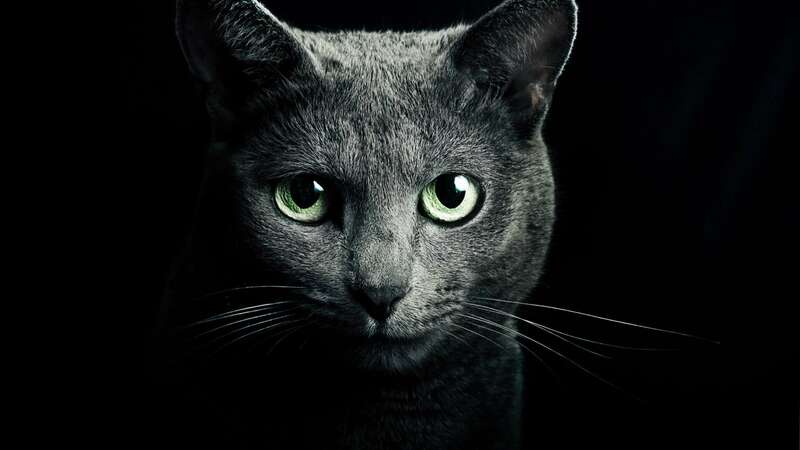 The cats are free to wander around, stretch along with you, and help you relax. 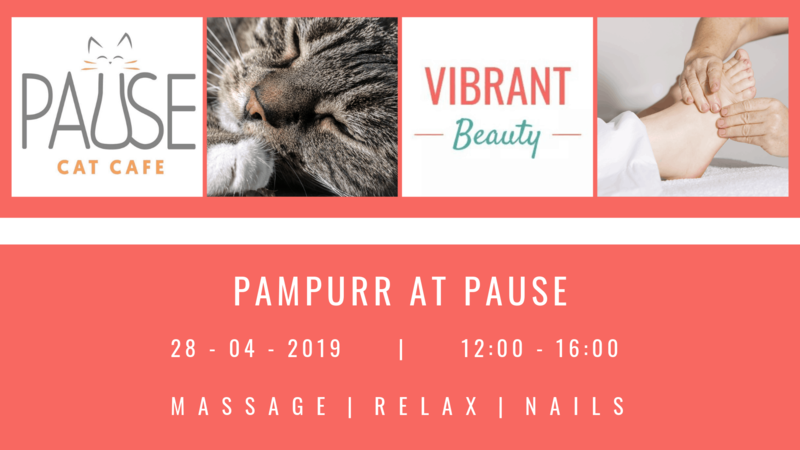 What could be more purrfectly relaxing than a Mini Pampurr Treat at Pause Cat Cafe?! The talented Liz of Vibrant Beauty will be offurring her soothing treatments in our kitty paradise. 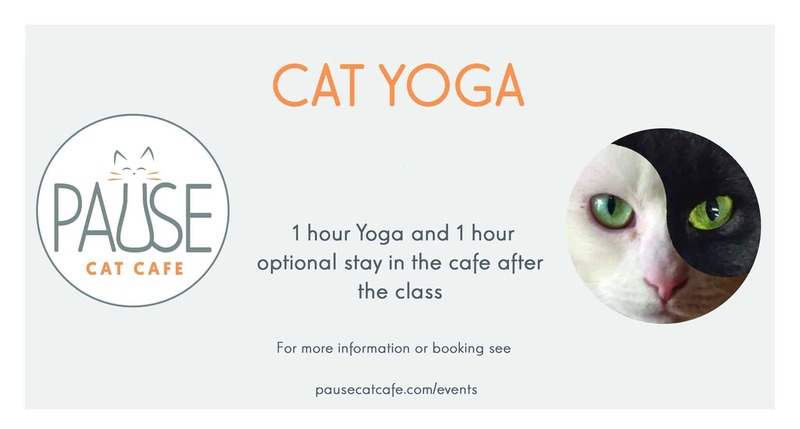 This experience will be totally unfurrgetable and supurr relaxing.